SHIJIAZHUANG, July 19-- Wang Qishan, chief of the discipline watchdog of the Communist Party of China (CPC), has stressed the role of disciplinary supervision in the country's poverty alleviation work. 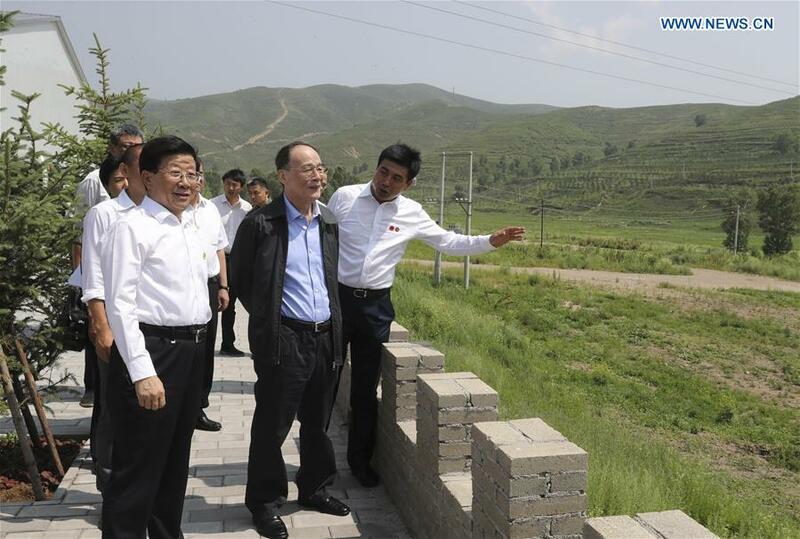 Wang, secretary of the CPC Central Commission for Discipline Inspection, made the remarks during a two-day inspection to Zhangjiakou in north China's Hebei Province, which concluded Wednesday. The city will jointly host the 2022 Winter Olympics with Beijing. Wang called for further crackdowns on embezzlement of poverty relief funds and various forms of bureaucracy. Party committees and graft-busters at a grass-roots level were urged to shoulder their responsibilities in the enforcement of discipline, to make sure that by 2020, people from impoverished areas can join all citizens in living in a moderately prosperous society. More on-site inspections should be carried out to identify the problems, instead of relying on paperwork and meetings, Wang said. Those who fail to implement the policies on poverty alleviation should be dealt with and their Party committee should also be held accountable, according to Wang. He also highlighted a pilot reform on the supervisory system, which features the establishment of local supervisory commissions.